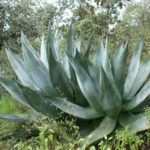 Agave atrovirens is a succulent up to 8.2 feet (2.5 m) tall and wide. 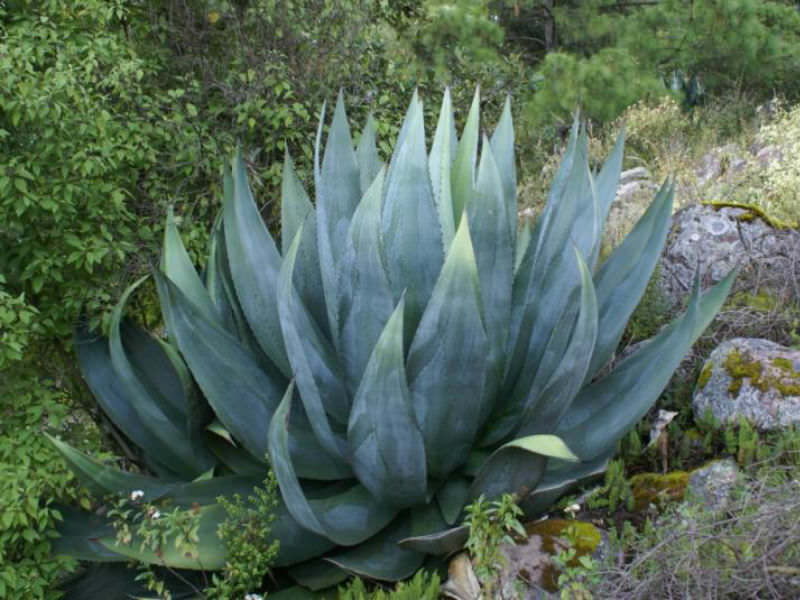 The leaves are smooth, light grayish-green to grayish-blue, up to 1.3 feet (40 cm) wide and arranged in a rosette. 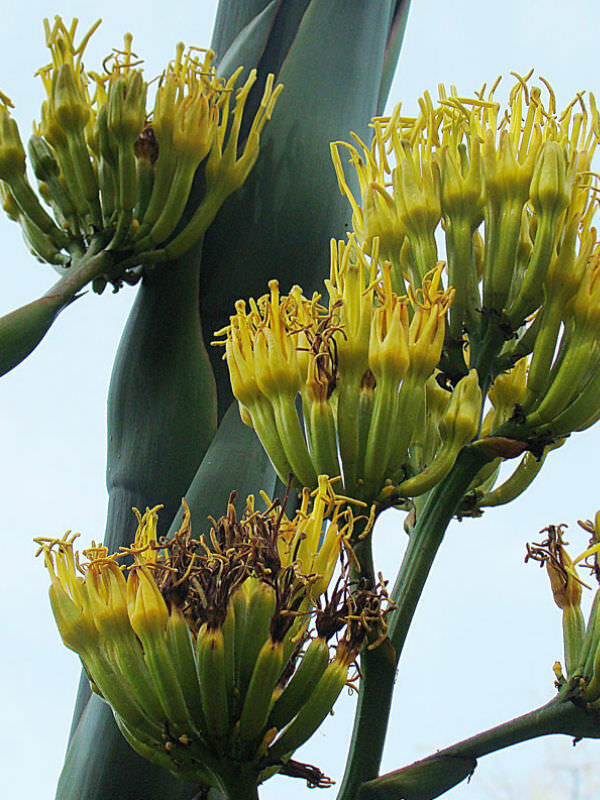 When it flowers, the spike with a cyme of big, bright yellow flowers may reach up to 16.4 feet (5 m) in height. 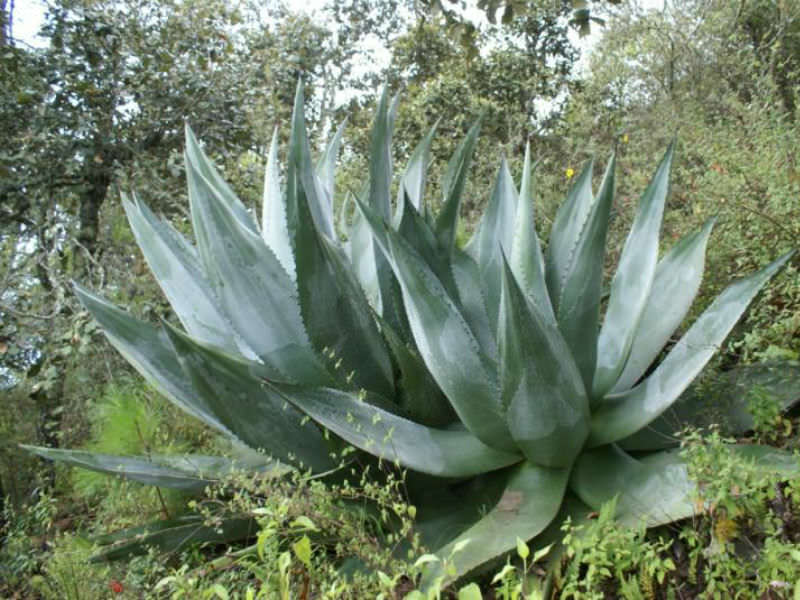 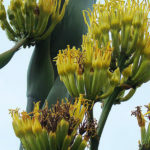 Agave atrovirens is native to Mexico.